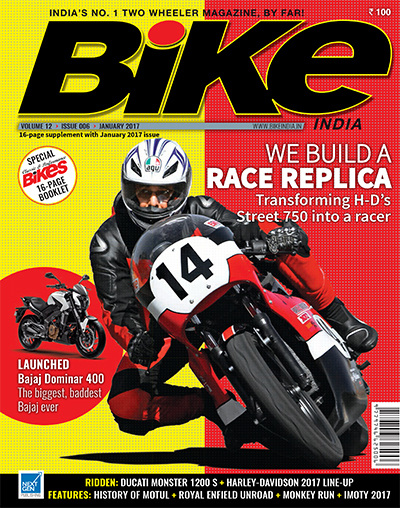 THIS MONTH BIKE INDIA CELEBRATES ITS 12TH ANNIVERSARY. 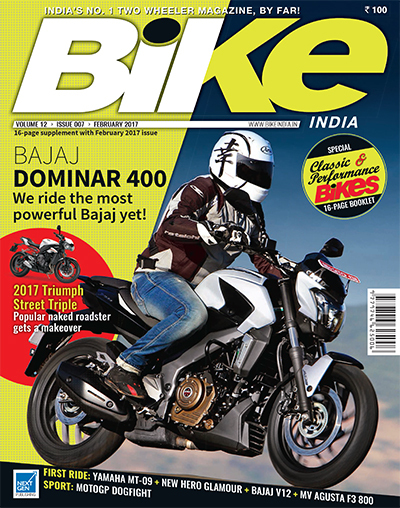 The magazine has grown from strength to strength over the past 12 years and for this success I would like to thank all our readers and manufacturers for their support in making Bike India the number one bike magazine in the country. This would not have been possible without your unstinting support. 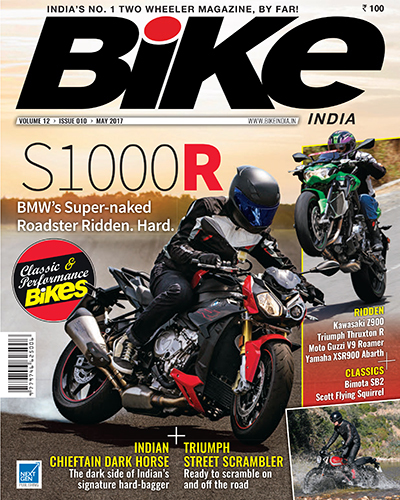 Every month we bring you the latest news, ride stories, first rides, road tests, and a lot more — all this would not be possible without the team at Bike India. You will always read the name of the author of the article in the by-line or see our pictures in the magazine, but what you don’t see is the hard work put in by the unsung heroes — the designers, photographers, and the copy desk editor — along with the marketing team that puts in a lot of hard work to generate the funds so that we can bring out this fantastic magazine for our readers. From the first of last month the Goods and Services Tax (GST) was introduced in the country and, as expected, most manufacturers have the same ex-showroom price for their bikes, whereas some others have different pricing because of the addition of freight charges. Now the next step should be a uniform vehicle registration fee across the country with the road tax being levied on fuel. Then one will not have to re-register one’s bike when one moves from one state to another. Learn to respect your own vehicle and, more so, others’ bikes and cars when you try to squeeze your way through that small gap and end up scratching your bike and someone else’s bike or car. Please give other people space on the road they deserve. This month we have quite a few exclusive rides for you, so enjoy the mega issue and always ride within your capability — ride safe and enjoy your ride. WITH THE GOODS AND SERVICES TAX (GST) COMING INTO force, from now on you will find the same ex-showroom price for all twowheelers across the country; the on-road price, however, will differ from state to state since the RTO of every state has its own rate of taxation. It is high time we had a uniform registration fee and had the road tax charged on fuel. 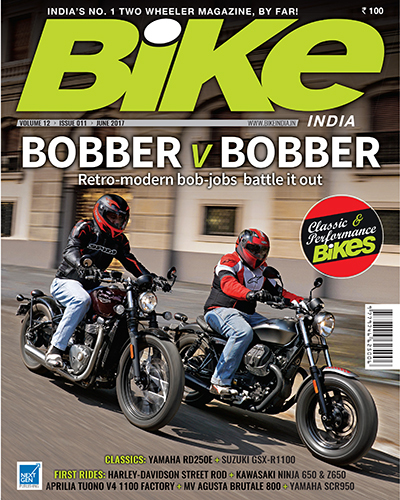 The big difference between a two-wheeler designed and built in India and an international one, whether a motorcycle or a scooter, is the number of fasteners used. It is more than three times in case of the indigenous products. The service time for our local bikes is twice as much as that for the international products. Ironically, even with so many fasteners, most Indian two-wheelers begin to rattle after a little while. This is due mostly to bad design and poor engineering, or a combination of both. It is high time the service engineers got involved in the project from the drawing board. The deportment of two-wheeler riders on the road is frightening. You have senior citizens who, not being confident of their balance, ride with their feet dangling instead of resting on the footboard/footrest. Then you have the kamikazes who are completely oblivious to traffic rules; they think going down the wrong way is their birthright. Such people are a hazard not only to others but to themselves too and give the bikers a bad name. When will the police start enforcing the law and stop triple-seat riding? LAST MONTH I WAS INVITED TO SINGAPORE TO RIDE THE new Harley-Davidson Street Rod. 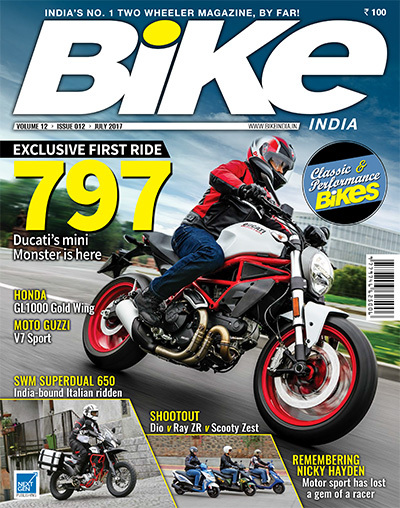 The very first time I rode the Street 750, I was really surprised because I had read some reviews criticising the bike, starting with the riding position to the engine and handling. In fact, the bike had a lot going for it from the riding position, handling to the extremely user-friendly engine. The Street 750 is a fantastic platform and the Street Rod is the first variant on this platform. Don’t be too surprised if you see a café racer and flat track racer from Harley-Davidson based on the Street platform in the near future. When I look back to the time when I was growing up to now, it is sad to see how the law and order situation has deteriorated. If your bicycle did not have lights or if you were riding double-seat and the policeman caught you, he would deflate the tyres. Today riding triple-seat or going down the wrong way on a motorcycle is a ‘done’ thing. Last month when a two-wheeler rider was going the wrong way and brushed a pedestrian, and when the pedestrian complained, the rider just turned around, came back and stabbed the pedestrian. Last but not least is that India has become the biggest two-wheeler market, overtaking China. 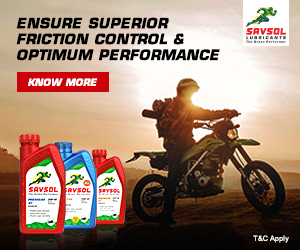 It is great for the manufacturers to be in the biggest twowheeler market in the world. At the same time, HMSI became the number one in the Honda family of companies as far as the numbers go. There is a flipside to becoming number one; it is that we will have that many more who do not obey traffic rules. We need to make sure that people know all the traffic rules before they get a riding licence. recovering from the effects of demonetisation when the manufacturers suffered another jolt as the Honourable Supreme Court stopped the sale of BS-III two-wheelers from 1 April. The whole thing was a mess for, according to the government, one could manufacture BS-III bikes until 31 March, but the Court stopped the registration from 1 April. Those who took delivery of new bikes on Gudhi Padwa would not think that this day was very auspicious because the very next day the prices of new BS-III-compliant two-wheelers were slashed by up to 50 per cent. The Lok Sabha passed a Bill containing provisions for hefty fines for breaking traffic rules. It is a move in the right direction but traffic rules need to be enforced as we already have them in place. How many people follow them? Most of them are unaware even of the basic dos and don’ts. Forget the general public, I don’t think many of those who enforce the rules know them for instance, giving way to the traffic coming from the right or giving way to people who are on the main road, and not cutting to the right side of the road when taking a right turn so that the traffic coming from the right can continue to turn left. You should not park on corners and junctions. One thing that will definitely come out of the new Bill is the rate of chai-paani will go up. After a long wait BMW Motorrad have finally entered India on the 12th with the opening of their first showroom in Mumbai, the second in Bengaluru on the 13th, and in Pune on the 14th. The two-wheeler market is limping back in the wake of the effect of the recent demonetisation. Last month I rode three new motorcycles: the Yamaha FZ25 (250-cc), and KTM 250 and 390 Duke. It was at the same venue in Goa in 2008 that the FZ16 was launched and at that time I had suggested that they should have put a 250-cc engine instead of the 160-cc motor. The KTM 250 Duke has been launched to counter the imminent BMW 310. The 250 runs taller gearing to make it subdued, so it is not as aggressive to ride like its 200 sibling. The 200 and the 390 easily hit the rev limiter in sixth gear whereas the 250 does not manage to do this in fifth or sixth gear. The new 390 has improved tremendously over the outgoing model. 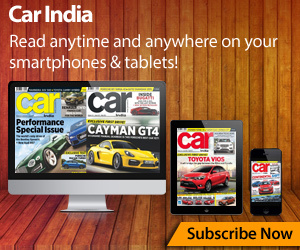 Read our first impression in this issue. British motor sport had suffered a blow on 10 March 2003 when the last British 500-cc world champion Barry Sheene passed away. Now on this very same day this year John Surtees, the only person to have won world championships on two and four wheels, also passed away. I was fortunate enough to have met him at the Isle of Man TT during the centenary year of that great event in 2007. He had brought his world championship winning 500 MV Agusta for the Lap of Honour. May his soul rest in peace. Over the Holi weekend I rode the beautiful Triumph ThruxtonR and it brought back some really fond memories; when I was growing up it was bikes like this that I used to dream of. 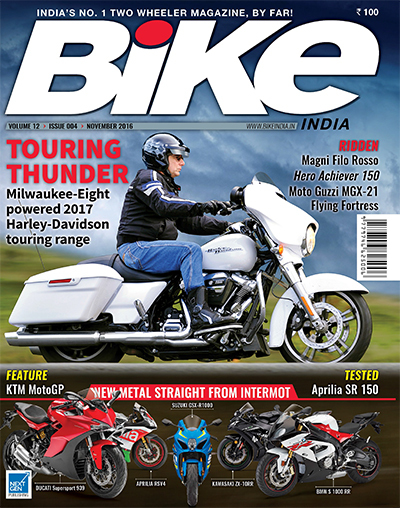 LAST MONTH WE HAD THE BIKE INDIA AWARDS AND TO pick a winner was a tough job, there being a number of strong contenders starting from the 110-cc Hero iSmart all the way up to the big 1,200-cc motorcycles. 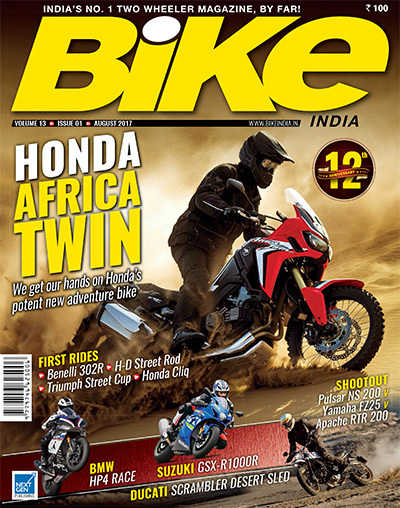 The standout bike and the overall winner for Bike India Awards was the TVS RTR200 4V. 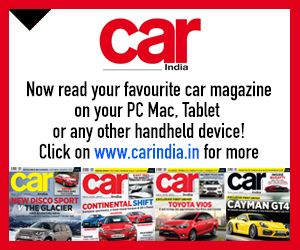 The fifth Cartier Concours d’Elegance was held last month in Hyderabad and it was a grand event. However, the one thing that intrigues me is the parameters for judging. The Velocette Venom that was given the runner-up prize has quite a few components that are not original to the motorcycle. To start with, it is a 350-cc Viper converted into a 500-cc Venom. The cylinderblock, piston and the cylinder-head are not from the original bike. The standard fitment for this model was Amal monoblock carburettor and not TT carb. The Venom did not come with rear-set foot-rests, clip-on handlebar and the headlamp had a nasal and not an open unit. Even with so many parts having been changed, the bike still manages to win an award at such a prestigious event. When will the change come to India? It does not matter how good you are or your bike; what does matter is whom you know and that will swing the result in your favour. TEAM HERO MUST BE ON TOP OF THE WORLD WITH THE result of their début Dakar Raid. A top-10 finish and C S Santosh getting his second finish in 47th place are no mean achievements. Most people will say he only finished 47th. Let me tell you just finishing the Raid is a big achievement in itself; it being the toughest motor sport event in the world. This is Santosh’s second Raid and he has finished both times. Hats off to you, Santosh! The annual Union Budget will be out soon and I hope the government gives us one that will boost the economy and the two-wheeler sales after the recent demonetisation. Last month I was in London for the launch of the new Triumph Street Triple. The outgoing Street Triple is one of my favourite motorcycles for it has the right mix of power and handling, making for an excellent package, and the new one is going to be even better as it is lighter and has gained 90 cc in capacity. The power and torque have also gone up and the bike has shed a couple of kilos. This will make it even more nimble and agile, even more fun to ride. The TVS RTR was crowned the Indian Motorcycle of the Year (IMOTY) 2017. 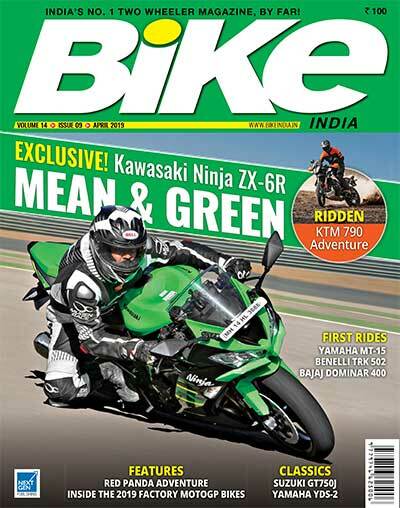 THIS IS MY 10TH YEAR AS THE EDITOR OF BIKE INDIA AND I have a very special treat for you. Everybody tests bikes and reviews them but we are different: we test a bike and, in case there is problem, we just don’t point it out; we also help the concerned manufacturer solve it. The first case in point for Bike India was the Honda Shine. When I tested the bike, I found it to be under-geared. As a result of this the bike would be prone to vibrations once the speedometer needle crossed 65-70 km/h. Fitting a gearbox sprocket one tooth bigger solved the problem and also improved the motorcycle’s performance and fuel efficiency. The second project was the Yamaha Gladiator with a mono-shock suspension. When Bajaj launched the Pulsar AS 200, it was the NS 200 with a half fairing and a different rear mudguard. When I asked Eric Vas why the bike did not have a long-travel suspension and different wheels, he asked me if I was ready to undertake the change to improve the AS 200. It would have been very easy to put long-travel front forks and rear suspension but the idea was to modify the existing forks and rear mono shock for the extra travel and that is what I did, along with fitting 17-inch rear and 19-inch front spoke wheels. The stainless steel free-flow exhaust now exits from under the seat. The treat for you this month is the Harley-Davidson Street 750 customised into a race replica of the XRTT 750 ridden by Calvin Rayborn. When I was about 10 years old, Calvin Rayborn used to ride a cast-iron engine Harley-Davidson and win races against modern motorcycles. Today I have built a motorcycle as a tribute to him. 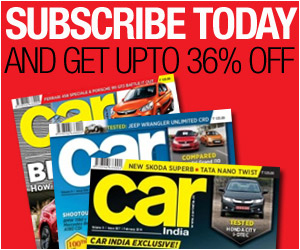 You may read the detailed story in this issue. I would like to wish all the readers a happy New Year. Please ride safely and never drink and ride. YET ANOTHER YEAR COMES TO AN END: 2016 SEEMS TO HAVE gone by very quickly, which means that we have been very busy throughout the year. More than 30 new two-wheelers were launched during the year. 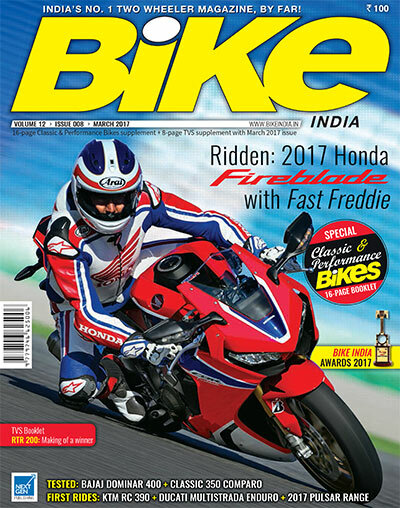 Incidentally, you may have your say in the Bike India Readers’ Choice of the Year Bike 2017 by sending your vote. At the moment, there is complete chaos in the market with the Rs 500 and Rs 1,000 notes demonetised. 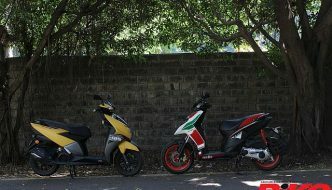 We may expect a drop in the sale of new twowheelers for, at least, the next three months since people hardly have liquidity and, therefore, are less likely to buy new motorcycles and scooters. 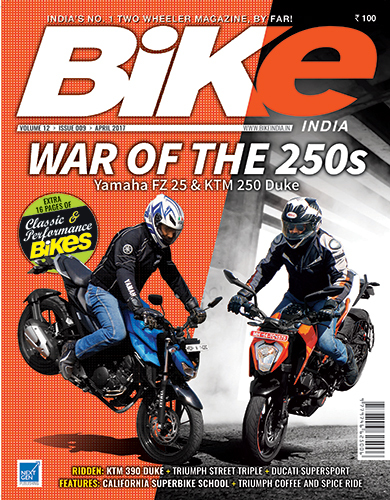 We are happy to announce that from the December 2016 issue onwards we are going to give you more value for your money with a 16-page special supplement on high-end racing, performance bikes and classic motorcycles. 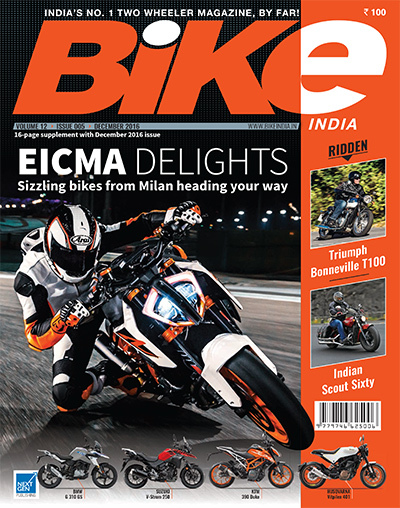 There is an in-depth report on the EICMA (Milan motorcycle show) in this issue. A number of new launches took place there and, happily for us, quite a few of them would be coming to India. Last month I was at the world premiere of the Triumph Bonneville Bobber as the only journalist from India and one of eight from across the globe to take part in a celebrity all-star drag race against the likes of Freddie Spencer and Carl Fogarty. To take part and meet racing legends like Fogarty and Spencer was like a dream come true. Known as Fast Freddie, the naturally gifted and talented motorcycle rider is an all-time great racer. Spencer is the only rider in the history of world motorcycle road racing championship to win the 250-cc and the 500-cc championship in the same year. When I spoke to him, he was very humble and down to earth. For me it was one of the best evenings of my life. Indeed, it was a real honour and pleasure to meet Fast Freddie. THE TWO-WHEELER MARKET IS SHOWING GOOD SIGNS OF growth as the month of September saw record sales for most two-wheeler manufacturers, with a major surge coming from the rural market. The big worry for the Indian market is what will transpire in the cross-border tension with Pakistan as none of us can afford a full-blown war. Last month we were invited to Tacoma, USA, to ride the 2017 touring range of Harley-Davidson motorcycles. The 2017 range gets all-new 1,745-cc (107 cubic inches) and 1,868-cc (114 cubic inches) engines. These new engines are OHV single cam with four valves per cylinder instead of the twin cams and two valves in the old ones. The 107 cylinder-heads are oil-cooled and the 114 cylinder-heads are water/coolant cooled. The new family of engines is known as the Milwaukee-Eight because of the eight valves. The two-wheeler market will see a lot of action before the end of the year as Bajaj Auto are preparing to launch the new 400 as a new brand, called the Kratos. The big news is that BMW Motorrad are all set to enter the Indian market before the end of the year with a complete range of motorcycles starting with the 310 and going all the way up to the 1,600. The only one missing from the line-up will be the GS800 since it requires complete homologation. The entry of BMW Motorrad into India will shake up the premium motorcycle market. The registration of new two-wheelers was at an all-time high during the Dasara festival; this being the second month in succession that we saw a big rise in two-wheeler sales. With such record sales we are going to see more vehicles on the already crowded city roads.